Magnetic snaps are a great fastener solution for many types of bags as well as other accessories and clothing. 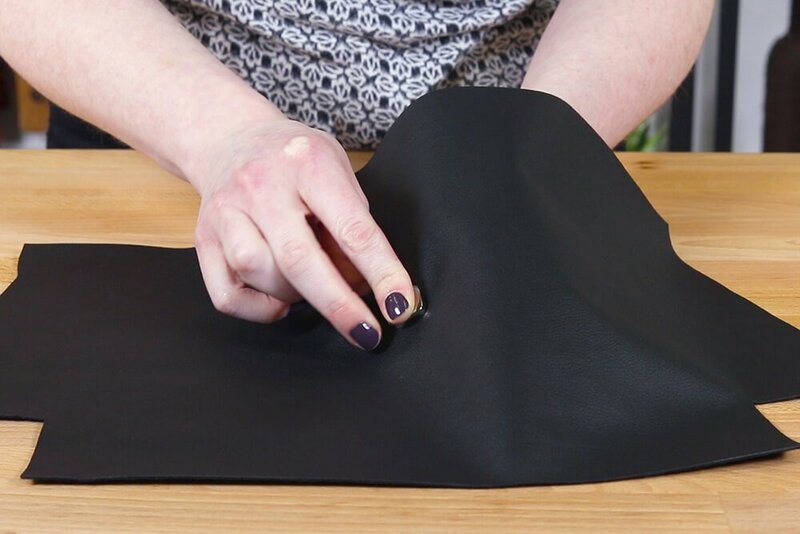 It’s best to use an iron-on interfacing on the back of the fabric to prevent it from ripping from wear and tear, but it’s not necessary for vinyl or other fabric that shouldn’t be ironed. Adding them to your project, despite how it may look, is pretty easy. Here are a few quick steps for attaching magnetic snaps. 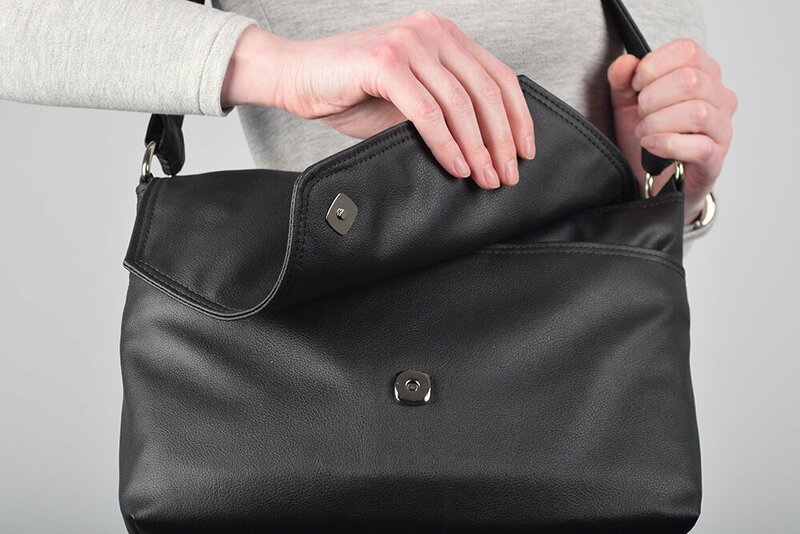 Learn how to make the faux leather vinyl handbag seen here. 2 Magnetic Snaps - 3/4"
Use the metal backing to mark where to cut the slits on the fabric. Use a seam ripper to cut slits just big enough for the prongs to go through from the front side of the fabric. You can use a heavy stabilizer or a piece of cardboard to reinforce the snap on the back. Cut out a piece a little larger than the snap and cut the slits. Slide it onto the back followed by the metal support. Use your fingers or pliers to bend down the prongs so they lay flat. Repeat these steps for the other side of the snap. 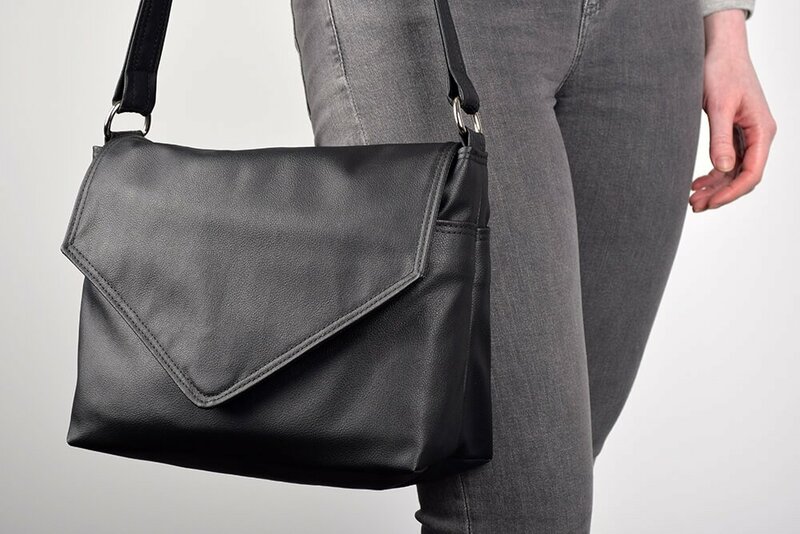 Click here to learn how to make this vinyl handbag. why doesn't magnectic closure snap stay snapped? 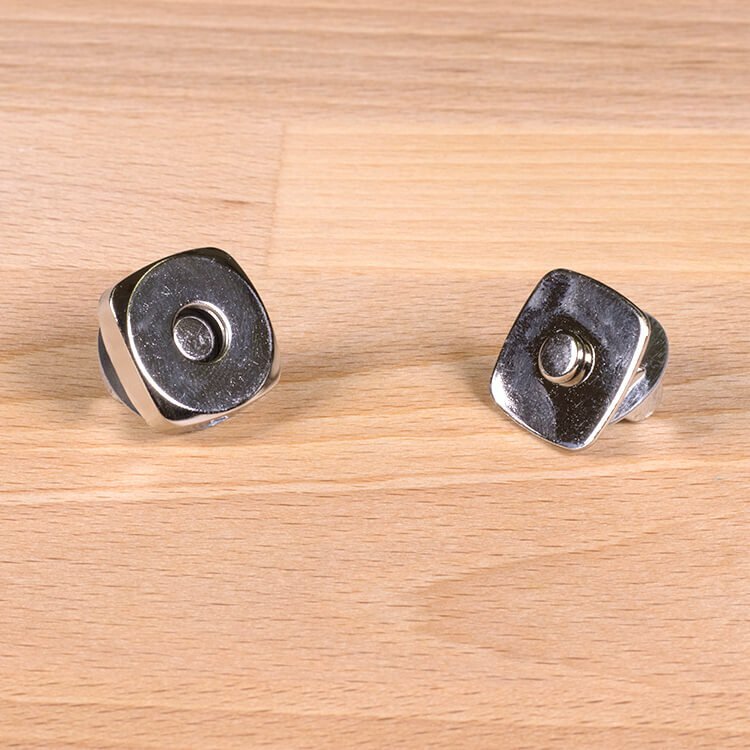 BEST ANSWER: We've used this magnetic snap many times and haven't had a problem with it staying snapped, but if there is too much pull between the surfaces, the magnet may not be strong enough.